If you plan on flying with Porter in the future, you might want to pack light. The Toronto-based airline will now charge customers $25 for their first piece of checked luggage on domestic flights. Fees will start at $25 and go as high as $28.25 per trip. The airlines says charges will kick in as of May 14 but won't affect anyone who has booked a flight before April 21. In the past, Porter only charged for a passenger's second, third and subsequent pieces of checked luggage. Fees for second pieces have increased from the $20 - $23 range to around $35 - $40.25. A third piece of luggage will still cost anywhere from $100 to $115, according to the airline's site. 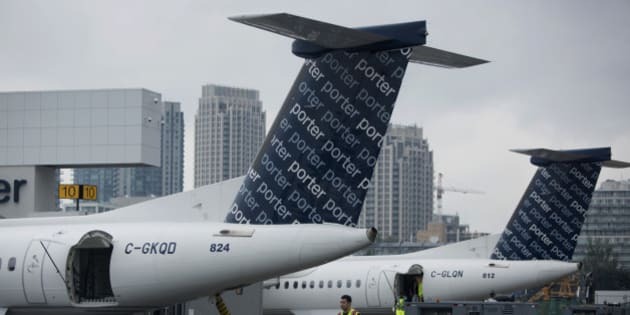 Porter is the first Canadian airline to implement the fee for flights within Canada, the Globe and Mail reports. Last year, the airline announced it would charge the same fee to anyone flying to the States. Cicero says he doesn't expect and blowback against Porter and that the fee on U.S. routes showed passengers were willing to travel with less than pay an extra fee. As a result, the number of checked bags on those flights dropped by 25 per cent. “We still think that overall we have a pretty outstanding product when you look at the overall value proposition. We don’t ask people to pay for many things compared to other airlines and the airfares on the routes we fly are all pretty competitive,” Cicero told the National Post.